I am a bit crazy, impulsive, and a whole lot of a dreamer! I love to smile, and I love to make others smile! I believe that there is still good people out there in the world, but just like everyone else, they hide because they do not wish to be taken advantage of. I procrastinate A LOT!! Sometimes I'm lazy and easily distracted. I love traveling, meeting new people, and trying new things. I'm friendly, open minded, I enjoy art, and wish to be more creative. I believe a person never dies while there is at least someone who remembers them or has them in their heart. I despise those who take advantage of others. After years and years admiring so many talented writers, I finally took the plunge and decided to see if I could write at all. No, not an epic tale or anything even remotely close; as a matter of fact is just a few words, but it took a lot to finally lose the fear and post, so I took advantage of the Impromptu D/D Night and wrote a few small drabbles. They are very small, and nothing to brag about, but they are my little seeds. I hope to eventually grow some good plot bunnies and someday in the near future write something worth your time! Please let me know what you think and thank you again for taking the time to read my ramblings! Written for the Impromptu D/D Night. May 08, 2010 Prompt: Gregarious. I'm so glad that you stumbled on my story and gave it a chance! I hope that Nefarious will continue to enthrall, and thank you for the review. I'm honored that you took the time to let me know what you thought - and don't worry - I just finished chapter 11 and Kagome's coming around quite nicely, though Sesshoumaru is still kinda fighting himself somewhat. But it's all coming together! 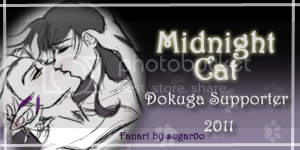 First off, I haven't heard from you in quite some time, and I hope you're alright...Second off, if you are alright and simply don't want to deal with us Dokugians, perhaps I can entice you to come back...? I'm going to be taking A Restless Night's Dream down for editing, and wanted to ask everyone who left a signed review if I could have their email addresses so I could add them to a repost notification list. Soooo...can I have your email address? You were such a motivation to me when I was working on those last few chapters of that story, and I would love for you to see how much I've grown since completing it. Anyway, I hope all is well! Hey Mid Cat, haven't heard from you in quite a while, are you alright? I posted a forum topic and some crazy stuff happened. I am still confused as to what the problem is. Maybe you can help me make sense out of this extremely ridiculous situation, if you don't mind? Wow Thank you for commenting! I appreciate the fact that you noticed the details. I wish I could of put it's original size, but there's a limited amount of space for how much we can put up. . . if that makes since. Thanks again! Sorry for the delay in answering reviews, and thank you for your reviews on Blood Stained. Of course, Sesshomaru will need Kagome more and more. He's felings are not as clouded as hers, so he is even more affected by the little thing. Kagome will slowly develop as well, and need him more and more. She didn't open his suitcase, lol. But she will dont worry. Sesshomaru is really growing closer to his family, and I love writing it. 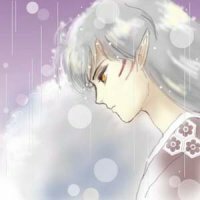 Sesshomaru knows a lot about the world, but hwne it comes to feelings, he doesnt know as much. Exactly, sometimes for us its odd, but for them its normal. And thats the main thing Kagome needs to understand. Thank you, Im always trying to surprise people, and bring more into the story, will still tying it to the rest, and somewhat answering previous questions. Yes, the mating mark was a big part of all their problems. But, it will be explained further soon. And yes, will she be too weak to make it to the end? Well, a few things will happen soon, which should answer that. Well, there is certainely one main way to strengthen the bond, but you can play around that without doing the full size thing, but still yes it will be difficult. I'm glad the explanation made sense, but unfortunately, it will only cuase more guilt to the poor Sesshomaru. He wouldn't have done it though if he had known. Well, I cant say anything about the birth without giving some stuff away right now, so. She had an aneurysm (sp?). She is awake, a bit now after all this time, but not very often. Im sorry to hear you had rough weeks, is everything well? Thank you for your help with "Angel"! Where are you, my dear, darling reviewer??? I've missed you and your amazing reviews! Come back soon, won't you?